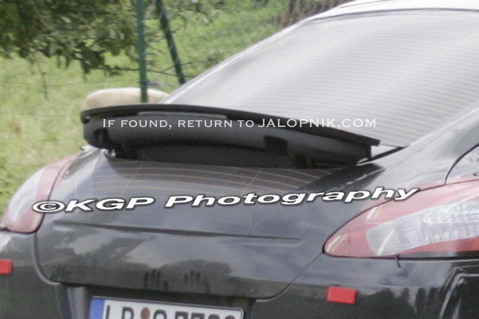 We just snagged these KGP spy shots and it looks like there's even less camouflage on the Porsche Panamera than the last batch we saw. Those wily Porsche engineers who aren't so good at camoflauging their test vehicles, ditched the large plastic "cage" obscuring the Panamera's rear spoiler ever since its first appearance on the test circuit.  We can now clearly see the smooth integration of the rear wing into the Panamera's sloping rear hatch and the spoiler that lifts and extends outward from the base of the backlight glass. How very Mercedes SLR of you, Porsche. Still looks like it was hit with the elongated ugly stick.